Alessandro has over 20 years in technology project management, planning, hardware and software solutions, localization and more. 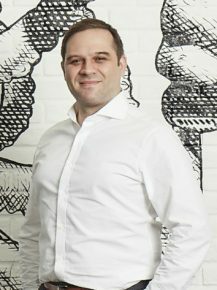 He joined to lead MullenLowe Profero Beijing technical team as Technology Director over 10 years ago. He is extensively experienced in working with multi-national clients worldwide, including Apple, Harley-Davidson, Diageo, Unilever, and other top companies, providing wide range of technology solutions from infrastructure design to web development, ecommerce and enterprise solutions.